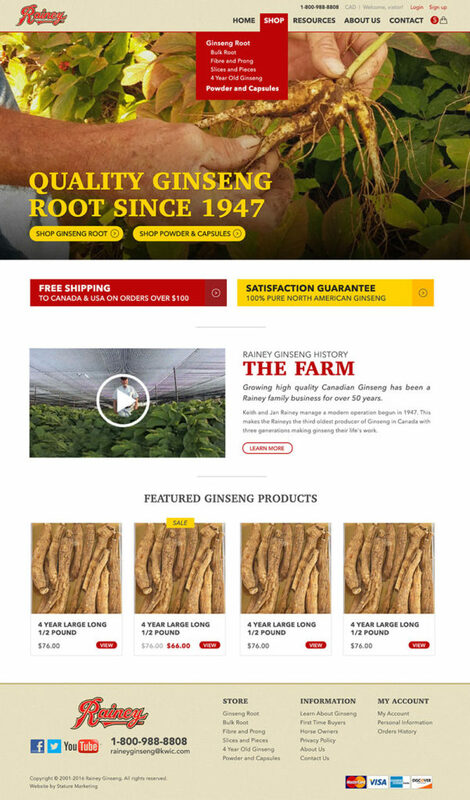 We helped Rainey Ginseng migrate from an outdated Joomla e-commerce platform to a stable and reliable WordPress platform with Woocommerce for e-commerce. The migration included a complete website re-design with a much more effective user experience and user accounts. 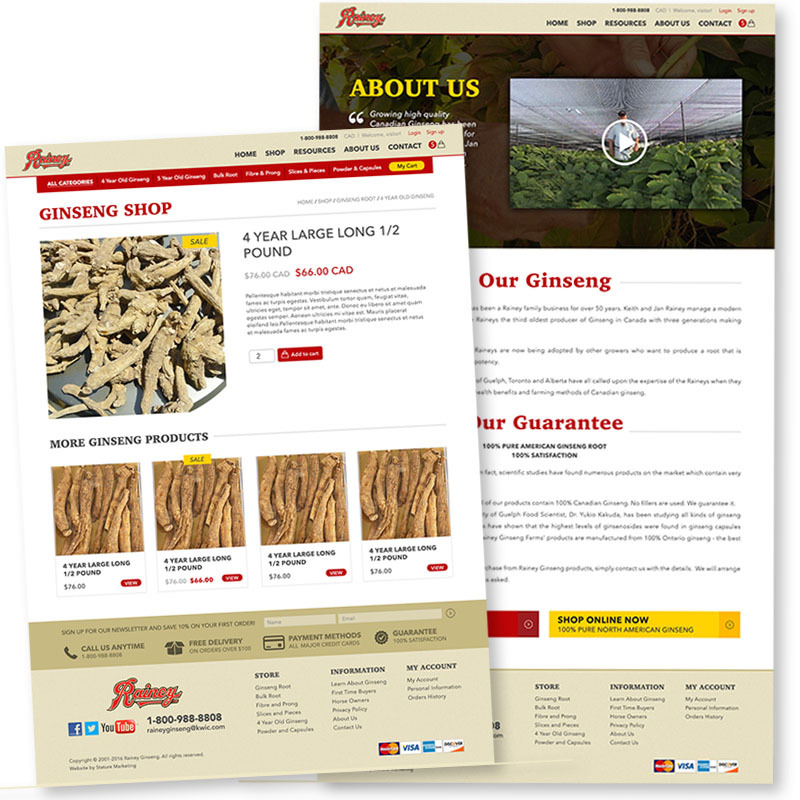 Stature Marketing began the redesign process by designing wireframes and mockups of all key pages. This allowed the client to visualize the final website and provide feedback prior to development. This process allowed us to maximize the number of features we could deliver within the budget. The WordPress CMS platform was the perfect choice, allowing us to deliver and extremely straightforward administrator experience. We chose Woocommerce as the reliable and robust e-commerce platform. We designed custom templates for the product archive, product single, cart, checkout, and user accounts pages, as well as custom email templates. The entire user shopping experience was made to be as simple as possible.